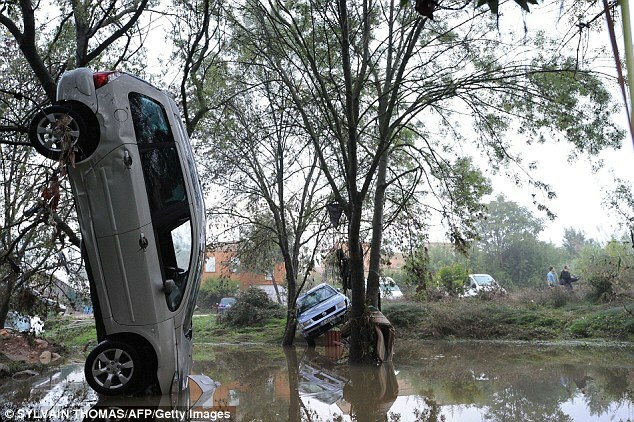 Recent weeks have seen a number of high profile flash flood events around the world, but perhaps the most striking have been in Montpellier, Central Southern France. The city has suffered 2 severe flash flood events in a week as intense thunderstorms hit just north of the city. This caused River Lez to burst its banks sending water through the city. THe city was not the only affected inhabitation however, about 60 towns were placed in natural disaster measures. 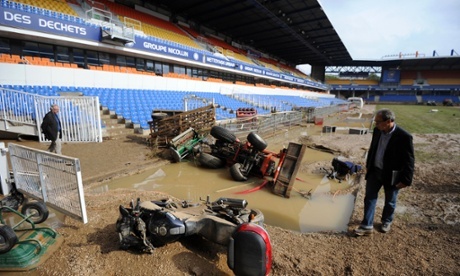 According to Meteo-France, the all-time rainfall record since the site was established in 1979 was broken, 252 mm (9.9 inches) fell between 2pm and 5pm, and of the total, 95 mm (3.74 inches) fell in a single hour. By the end of the day, half the average annual rainfall had fallen within a single day. This lead to some dramatic damage, as 10 feet of water left cars suspended in trees and creating major damage to the city’s football stadium. Warnings had been in place, with “vigilance rouge” (essentially red alert) warnings for the department due to the forecast of slow moving thunderstorms. The air in the region was warm and moist, ideal for the formation of intense thunderstorms and hence rainfall. The meteorological situation is not particularly unusual and the storms typical of the setup, forming on the Western edge of a blocking anticyclone, though the positioning and hence impacts were unusual, and that 2 events occurred in quick succession particularly so. This sort of meteorological situation however is predictable as demonstrated by the red alerts issued by Meteo-France, better observations and understanding of the small scale meteorology and hydrology would be hoped to lead to improved, more precise warnings for such events in the future, thanks to work done by the many projects such as FRANC (for the meteorology), SINATRA (for the hydrology) and the later integration of the two sciences to a joined up system. This entry was posted in Uncategorized on October 24, 2014 by Rob Thompson.